Need to stay up-to-date with news and events in China? 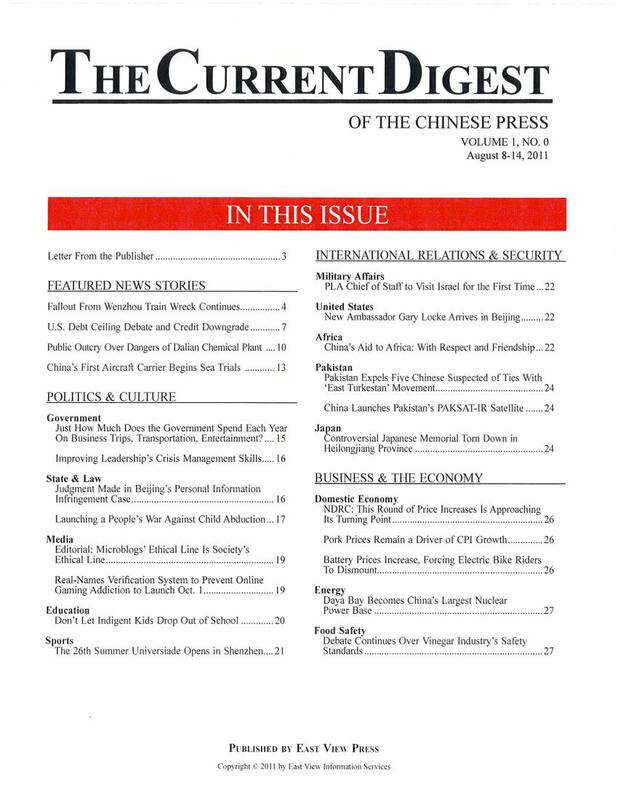 The Law Library has a new electronic subscription called Current Digest of the Chinese Press . This is an excellent resource, especially for those who do not read Chinese, because it offers an unabridged and unfiltered English translation. The product is published by East View Press, and it offers a comprehensive view of China through relevant and timely stories. The Digest is a weekly that culls articles from a broad range of sources all aimed at a domestic audience. These articles are then carefully translated so as not to lose the actual sense and meaning of the original article. 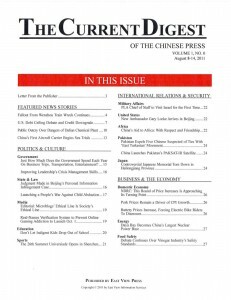 So, if you need reliable Chinese news, be sure to check out the Current Digest.